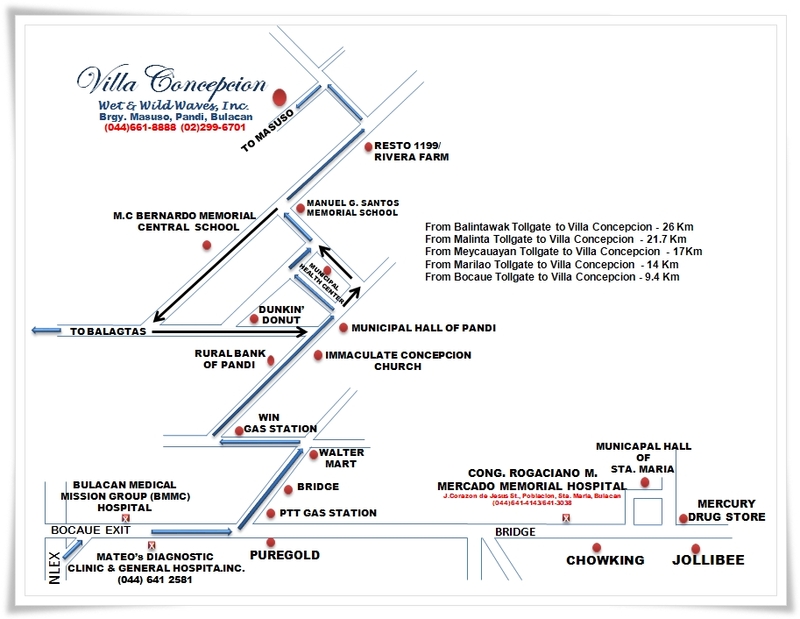 Location Map - Villa Concepcion Wet & Wild Waves, Inc.
Take any bus, jeep or FX taxi going to Sta. Maria, Bulacan. Alight at Sta. Maria town proper. Ride a tricycle to the Pandi jeepney station. Ride any jeep passing through Pandi (Pandi, Sili, Encanto, Angat, Baliuag) then alight at Poblacion. Ride a tricycle to VCWWWI.